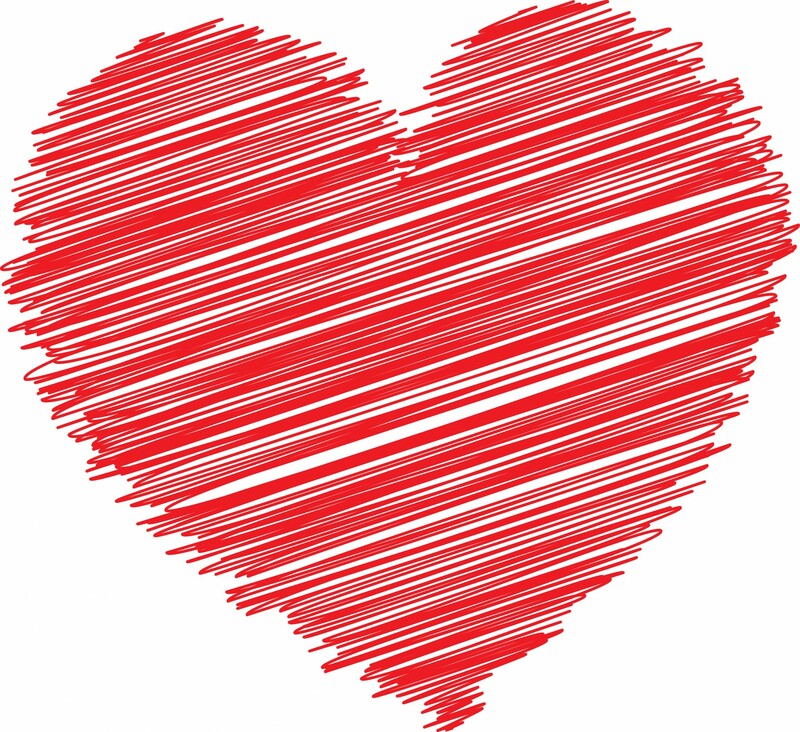 Giving Hearts Day is the largest regional giving day for the upper Midwest. 450 non-profits in the region participate and raise funds and awareness for their specific causes. The University of North Dakota is participating in Giving Hearts Day 2019 with a focus on the individual colleges within the University. February 14, 2019 is your chance to support students at UND and take advantage of $25,000 in matching funds from the Dakota Medical Foundation. Last year, we granted a total of 9 scholarships to students at the University of North Dakota. Help us change even more lives this year! We hope to give out FIFTY-SIX Giving Hearts Day Scholarships - eight per college - but we need YOUR HELP. College of Nursing and Professional Disciplines: $9,000 match from Dakota Medical Foundation, Essentia Health, and Pat & Jamie Traynor! College of Business and Public Administration: $6,500 match from Dakota Medical Foundation and Gate City Bank! John D. Odegard School of Aerospace Sciences: $9,000 match from Dakota Medical Foundation and Jared Herndon! College of Arts & Sciences: $6,500 match from Dakota Medical Foundation and Dustin & Leslie Hollevoet! School of Law: $6,500 match from Dakota Medical Foundation and Kelly & Kjersti Armstrong! College of Education and Human Development: $9,000 match from Dakota Medical Foundation, David Fitterer and Jim & Nicole Poolman! College of Engineering and Mines: $6,500 match from Dakota Medical Foundation, Mike Lodoen and Terry & Diane Severson! You will have the opportunity to win one of the Giving Hearts Day Scholarships simply by signing up that day! Return to this page on February 14 for your chance to win big! 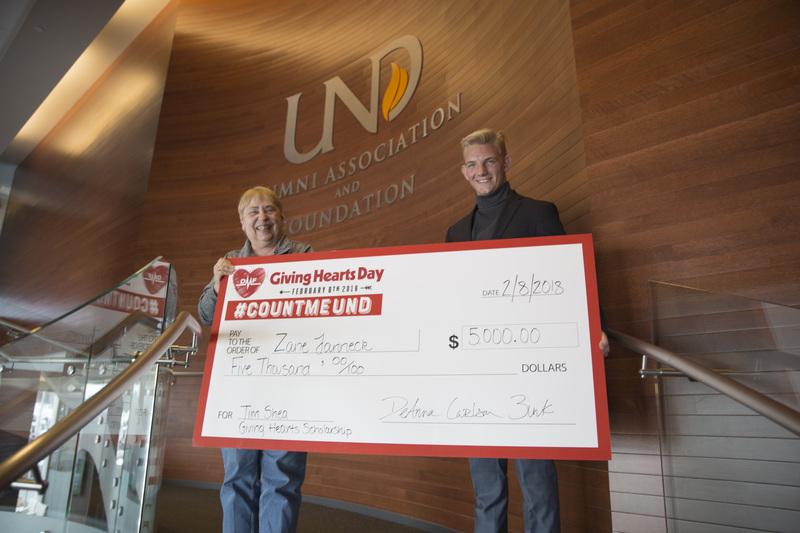 Zane Janneck was one of the recipients of our Giving Hearts Day Scholarships last year! Zane shares, "The Giving Hearts Day scholarship was fantastic! When I received the call, I honestly didn't believe it was real. You never really expect to win when you sign up for these things. As a commercial aviation student my expenses have been pretty costly. This scholarship really went a long way in helping me get through my first year of flying. Words can never express how much I appreciate it."